Every 20 seconds, a burglary crime is perpetrated in the U.S. With only 13% of such cases being solved, homeowners are losing millions worth of property every minute. What can you do to avoid being part of these statistics? Consider an automatic gate. Investing in a security system may be a good place to start, but you also need to think about the main entrance to your home – the gate. As far as residential gates go, you have two options: manual and automatic gate. While manual gates provide some degree of security, they’re inconvenient. For instance, you have to get out of the car to open and close the gate when you get home. Some homeowners even leave their gates open to avoid this hassle. This leaves your home vulnerable to burglaries. With an automatic gate, you don’t have to go through all this trouble. But how else can an automatic gate benefit your home? Power gates for driveways come with remote controls. They also have mounts that allow you to install cameras to help you monitor your property. With such control, you can keep unwanted intruders out of your property with the press of a button. An automatic gate also safeguards your home and family against crimes of opportunity. One of the best ways to prevent situational crimes is by using deterrents. The presence of an automatic gate acts as a deterrent for opportunistic home burglars. Additionally, motorized gates act as an extra layer of protection as they’re more difficult to get vandalized. Installing an automatic gate adds a sense of style and class to your home. Generally, homes fitted with automatic gates are viewed as prestigious. With so many varieties and customization options, you can have your gate designed in size, shape, and style that adds allure to your home. You can even include art and flair elements to make a statement. Sometimes, you may just want to have your property all to yourself. Maybe you’re trying to avoid pushy solicitors or just want to spend some quality time on your front porch without the prying eyes of your neighbors. Whatever your reasons, a private driveway gate can help you keep unwanted visitors and nosy neighbors at bay. With an automatic gate, visitors will need to inform you of their arrival so you can buzz them in. It’s even better if you install cameras because you’ll be able to see who’s at the gate in advance. With such control and awareness, you can enjoy uninterrupted privacy at all times. Besides keeping intruders out of your home, automated gate systems also safeguard your children against surrounding traffic, especially if you live close to the road. You’ll have greater peace of mind letting your kids play in the yard knowing that they won’t be chasing balls into the street. Along with a perimeter fence, a remote driveway gate also ensures that your pets remain within your property. This will prevent them from wandering into your neighbor’s yard, saving you from all kinds of conflict. It’ll also keep them safe from opportunistic individuals, who may take advantage of pets wandering around the street. Some insurance providers may offer you discounts on premium payments if they notice that you’ve taken extra measures to secure your property. Installing an automatic gate is one such measure. It minimizes the chances of property burglary, which would deem you eligible for compensation. But since not all insurers offer this provision, you’ll want to check with your provider before you claim exemption from premiums. A good looking home fetches higher prices and attracts more potential buyers. Installing the right automatic gate improves the curb appeal of your home by giving it a classy, prestigious look. In so doing, it improves the resale value of your property. So, in addition to being a functional feature to your home, a motorized gate also acts as an investment. From a financial perspective, it makes sense to grow the value of your home even if you’re not planning to sell it anytime soon. It’s quite a hassle to operate manual gates. Every time you’re leaving or entering your home, you need to exit the car to open them. This can be quite daunting, especially when it’s raining. Moreover, it’s easy to forget to lock them when you’re leaving in a hurry. An automatic gate solves all these problems. Thanks to their wireless technology and built-in motors, you don’t need to exit the car to lock or open them. Also, you don’t need to leave your house to open the gate every time you have a visitor. You can do that from the comfort of your home with the help of a remote control. And since they lock automatically, there’s no chance that you’ll leave your home unsecured when heading out in a hurry. Installing an automatic gate is no easy feat, and you shouldn’t do it yourself because so many things can go wrong. As such, you need an expert to make sure that all systems are properly fitted. This will prevent gate-related accidents, and increase the durability of your investment. 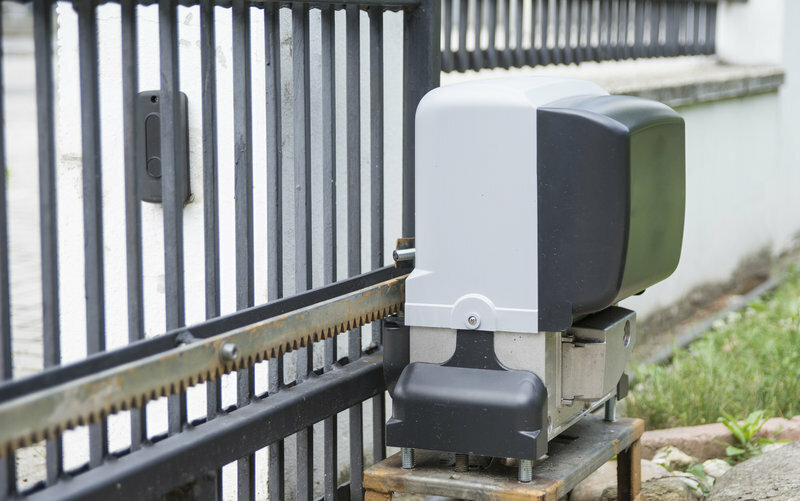 When looking for automatic gate experts, look no further than R&S Erection of Vallejo, Inc. We are a one-stop shop for all things gate-related, with tons of experience in installation and repair. We serve several areas in California, including Fairfield, Vallejo, Vacaville, Suisun City, Benicia, Dixon, American Canyon, Cordelia, Rutherford, and more. We also work with all top brands including Liftmaster, Viking, Doorking, Hysecurity, among others. To get a price quote on different automatic gates, feel free to contact us.